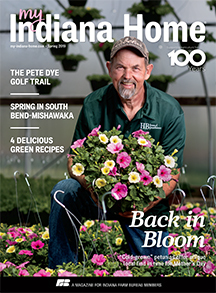 Some of the state’s top young farmers will be recognized at the Indiana Farm Bureau convention, to be held Dec. 6-8 in Fort Wayne. YFAA winner Neal and Lydia Wolheter and their children Parker, Breanna and Reese. 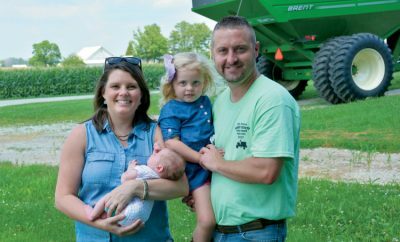 The Young Farmer Achievement Award recognizes young farmers who earn the majority of their income from their farms, and this year it went to Neal and Lydia Wolheter of LaGrange County. 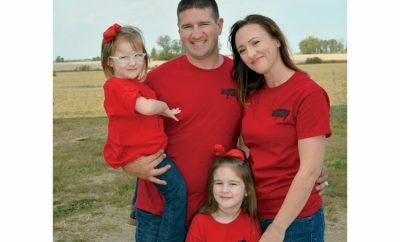 Neal, who has a bachelor’s degree in ag systems management, manages the family farm operation full time and raises corn, soybeans, wheat and ryegrass. Lydia has a bachelor of science in selling and sales management, and she manages the farm’s accounting and production records and also works part time as an independent closer for local title companies. 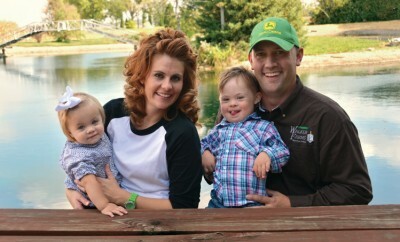 The couple has three children, Reese, Breanna and Parker. The Excellence in Agriculture Award recognizes young farmers who are involved in agriculture, but do not derive the majority of their income from a farm that they own. This year, it went to Jonathan Spaetti and Derika Lynam-Spaetti of Spencer County. 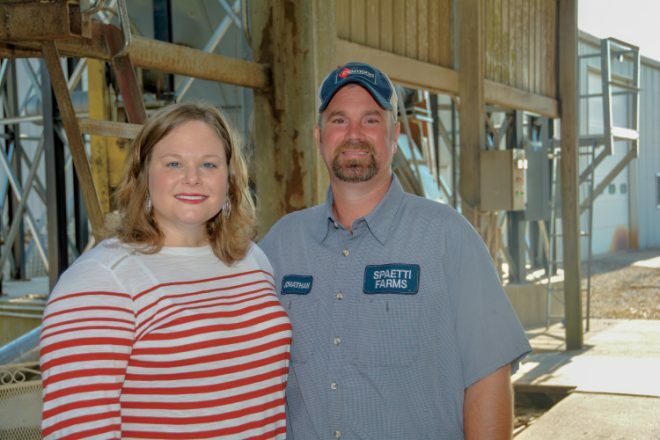 Jonathan, a fourth-generation farmer, holds an associate degree in manufacturing industrial technology. He works alongside his dad and uncle on the farm and also owns his own farm. Derika has a master’s in teacher leadership and is a high school math teacher. The couple raises food-grade white corn and soybeans. 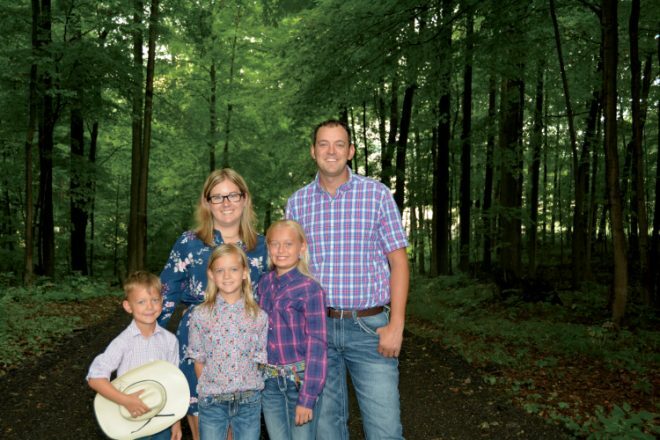 The two families will represent Indiana in the national Young Farmer and Rancher contests, which will be held in January during the American Farm Bureau Federation’s annual convention.